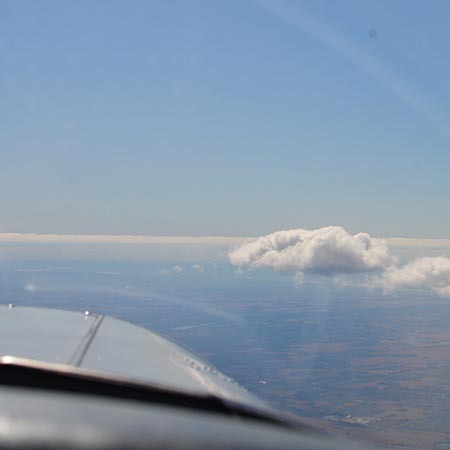 A land away lesson gives you the best of both worlds – the chance to fly both as an observer and as a trainee pilot. On the first 30 minute leg of your flight, you can sit back, relax and, if you fancy, practice a spot of aerial photography as you get a birds-eye-view of our fair land. You’ll land at a different airport, have time for a nibble, then it’s up and away again for the flight home. This is where it gets really exciting. 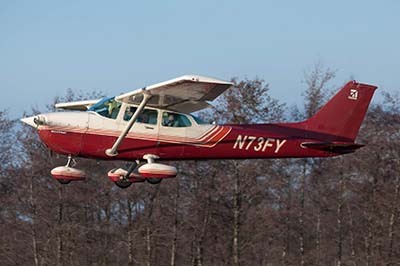 Once airborne, your CAA certified flying instructor will invite you to take the controls for yourself. You don’t have to try anything you’re not comfortable with, but even the most nervous of fliers usually can’t resist the thrill! 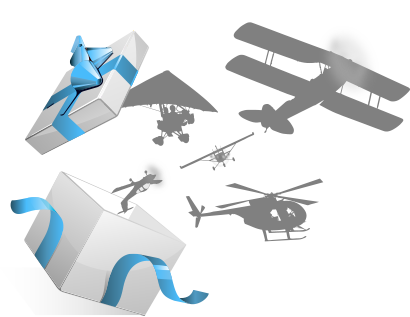 With 13 flying schools to choose from, including many in the North, this voucher makes a fantastic flexible gift experience – highly recommended for anyone aged 12 and up. Linley Hill Airfield is situated just a few miles North-East of Beverley in East Yorkshire. Home to the popular Hull Aero Club, offering lessons in both planes and microlights, this is an ideal place at which to begin flying. Enjoy incredible views over the Humber estuary as you take to the skies for an experience you'll never forget! On the Fylde coast of Lancashire, a flying experience gift at Blackpool Airport offers truly breathtaking views out to sea - as well as a highly professional level of flight training should you wish to pursue a Pilots Licence. With plane and helicopter lessons as well as aerobatic stunt flying available, you'll find something to suit every aviator here. Bristol Airport, located at Lulsgate Bottom in North Somerset, is home to flying schools offering a range of affordable flying lessons in light aeroplanes. With opportunities for some unbelievable aerial sight-seeing over the Avon Valley, you'll be learning to fly in one of the most picturesque settings in the UK. Coventry Airport was established as Baginton Aerodrome in 1936. Back then it served as a Warwickshire's RAF base, but nowadays you'll find a thriving hub for general aviation - making this the Midlands' most popular flight training destination. 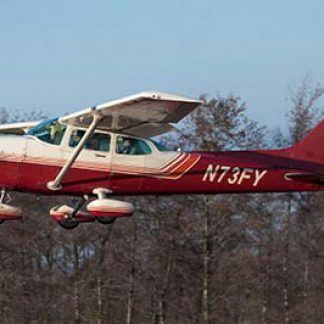 Home to as many as five different aviation schools, you're guaranteed the best CAA certified instructors, ready to show you a thrilling flying experience! Snuggled between Glasgow and Falkirk, this airfield in Lanarkshire is Scotland's main hub for flight training in both planes and helicopters. With several aero clubs on site, Cumbernauld has no shortage of passionate and knowledgeable flying instructors, ready to show you the ropes as you take off into the skies. Enjoy the breath-taking Scottish scenery like never before - from the air! The airport at Staverton is fantastic hub for aviation, with the nearby M5 providing access to flying facilities within easy reach of the Midlands, Wales and the South West of England. 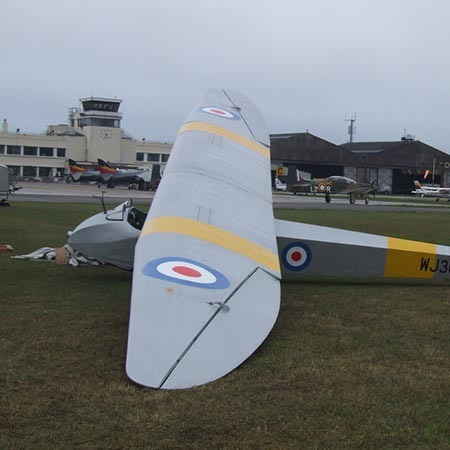 Originally opened as an RAF base in 1931, the airfield is now home to numerous flying clubs offering experiences in a range of aircraft - and with £6 million to be invested over the next 10 years, it looks set to go from strength to strength. 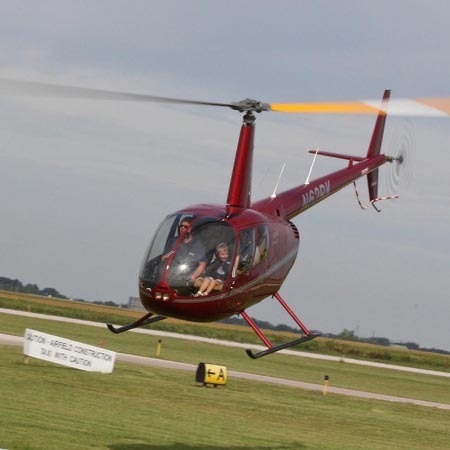 Situated not far from Watford outside Greater London, Elstree Airfield offers a great range of flying lessons in Planes and Helicopters. There are a number of flying schools based here, and it's proximity to the capital city makes this a popular venue for experience flights. Prepare to fall in love with aviation - and see if you can spot some of London's famous landmarks from above as you get to grips with the fundamentals of flight! Flying over the stunning scenery of Perthshire is an unforgettable experience - and the former Scone Aerodrome outside Perth is the perfect place to get started. This is one of Scotland's most popular flight training centres, with lessons available in Planes and Microlights, as well as quirky aircraft like the Gyrocopter. They've been training pilots here since the 1930s, so there's nowhere better to discover a love of aviation - and take the first steps towards your very own Pilot's Licence! 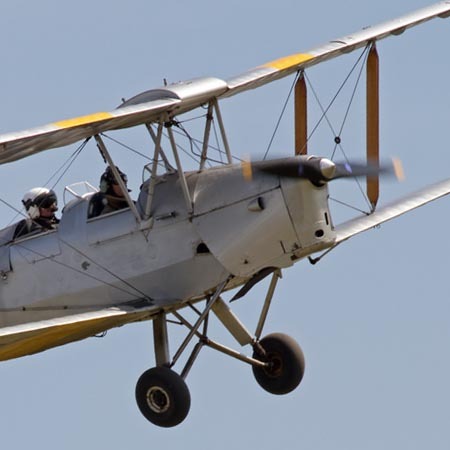 This Double Plane Flying Experience voucher is not sold directly through FlyingLessons.co.uk - on clicking 'Buy Now' you wil be directed to the voucher provider's website to complete your purchase. This voucher is provided by Into The Blue. This combination experience is perfect for aviation fans who want a more comprehensive insight into the world of flying. At the start of your day you will be greeted by your pilot instructor and you will have a walk around the aeroplane - friends and family will be able to take photos at this point too. The aircraft used will be a modern, low wing, four seater training plane, such as the Piper PA 28. Used worldwide for training budding pilots aiming for their PPL (Private Pilot's Licence), they are renowned for being robust, reliable and a pleasure to fly. Please be sure to check the rules and restrictions for the Double Plane Flying Experience before purchase.